Pipes banging? Drain clogged? Hot water heater feeling a little, well, less than hot? Countless things – big and small — can go wrong with your residential plumbing and Beaverton Plumbing, located near Portland, OR, can repair them all! If you’re in doubt whether you need a service call, reach out to us and talk to our friendly receptionist who will make sure you are quickly served by someone who can listen to your problem to figure out the quickest, most cost-effective next steps and schedule a timely repair. We understand how frustrating it can be to have a plumbing fixture that doesn’t work right, or worse, have an emergency repair that might be causing flooding in your house. Once you decide you need an appointment, our friendly repair staff will give you an estimated arrival time.We’ll help you decide if you need a repair or replacement; if a repair is sufficient, we’ll either make the repair either on the spot or at another appointment if a specialty item needs to be ordered. Repairs not only give you peace of mind your plumbing is functioning properly, but many times the right repair can help save water – and money on your water bill. When you consider that it only takes 4,000 drips to make one liter of water, according to a study by the U.S. Department of the Interior, waste can add up fast. You can be assured that when Beaverton Plumbing comes out to do a repair, we will do the job right – the first time! 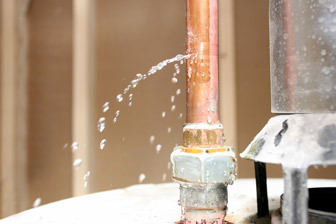 We know the pain that a house goes through when a plumbing repair is needed. 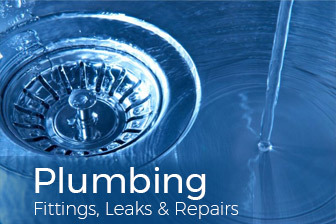 Rely on us to diagnose and repair any residential plumbing issue today. Got a residential plumbing issue? Make your first call to Beaverton Plumbing, located near Portland, OR. Our friendly and experienced technicians will come as soon as we can to diagnose your plumbing problem. Once we arrive we’ll do a thorough assessment to determine if it will be more cost-effective to repair or replace the ailing plumbing issue. We say “more cost-effective” in reference to replacement because sometimes we recommend that a homeowner replace a faulty fixturerather than repair it. That’s because there are times in our professional judgment that we know the repair won’t last adequately and you will soon be paying more money for yet another repair. We will look at the issue and based on our experience, we can help you decide if it’s a better idea to replace. Often when a fixture is near the end of its lifespan, we know that a repair will be only temporary, but costly. Often we recommend that if an appliancecosts half as much to repair as to replace, that replacing it might be more cost-effective in the long run. If we decidetogether that a replacement is the right choice, we’ll work with you to discuss your needs and provide feedback on the styles or types that you might want to consider. We have seen so many different brands and models in our years that we can give our expert opinion on what will hold up the best and what is best suited to your needs, from aesthetics to budget. You can be certain that we’ll help guide you to the most cost-effective residential plumbing solution to replace any fixtures or appliances that are too near the end of their life span to be effectively repaired. Did you know that regular maintenance is the key to keeping your plumbing fixtures running their best for a long time? Beaverton Plumbing, located near Portland, OR, can help you with all your residential maintenance plumbing issues, with the goal of saving you money by ensuring that your appliances run as long and as efficiently as possible through regular maintenance. Some of these residential maintenance tasks can be performed by handy DIY homeowners, of course, but many people don’t have the time, the tools, the interest, or the know-how to effectively handle maintenance. That’s when you should call in an expert from Beaverton Plumbing who can help you assess what in your house needs maintenance, and take care of it promptly and professionally. Deferring maintenancebecause you are unsure how to tackle it or you don’t have the time is never a good idea as it can cause bigger and more costly problems down the line. But sometimes doing the maintenance yourself can cause bigger problems right now if something goes wrong. In certain cases it can even invalidate your warranties. That’s why homeowners who have questions or want assistance regarding residential maintenance should call the technicians at Beaverton Plumbing to come out to do the job, the right way, the first time.